This item is on display in some of our showrooms, please contact us for details. Cuddle up with your sweetheart on this plush power reclining loveseat for the perfect place to watch movies from for a romantic night at home. The arm rest has two cup holders and extra storage space for you to store your TV remotes and magazines neatly out of sight. Put your feet up with the power recline to let the stress of the day pass you by as you relax in sublime comfort. With this laid back styled loveseat in your home, a stunning casual feeling will continue throughout your home. 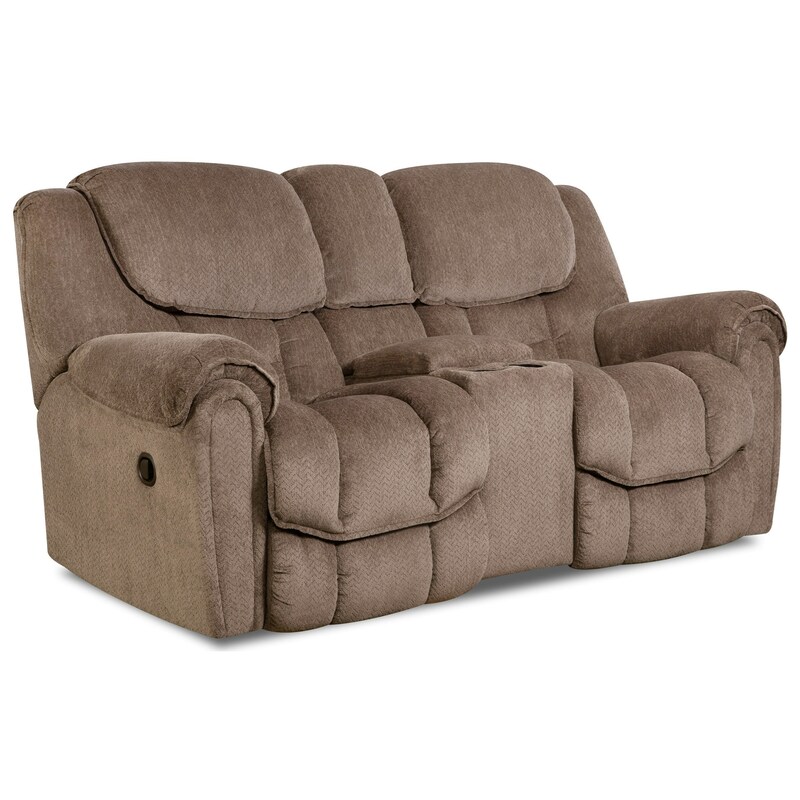 The 122 Casual Power Reclining Loveseat with Storage in Arm by HomeStretch at Furniture Fair - North Carolina in the Jacksonville, Greenville, Goldsboro, New Bern, Rocky Mount, Wilmington NC area. Product availability may vary. Contact us for the most current availability on this product. Relax in stunning plushness and comfort with this casual 122 collection in your home. Choose from either power recline or manual recline for each of these pieces to find the one that is perfect for you. Put your feet up and watch TV in casual style and opulent comfort with this collection in your home. Pillow top arms, and pad over chaise leg support give it a laid back feel that you are sure to love in your home. With the addition of this 122 collection, you cant go wrong. The 122 collection is a great option if you are looking for Casual furniture in the Jacksonville, Greenville, Goldsboro, New Bern, Rocky Mount, Wilmington NC area. Browse other items in the 122 collection from Furniture Fair - North Carolina in the Jacksonville, Greenville, Goldsboro, New Bern, Rocky Mount, Wilmington NC area.